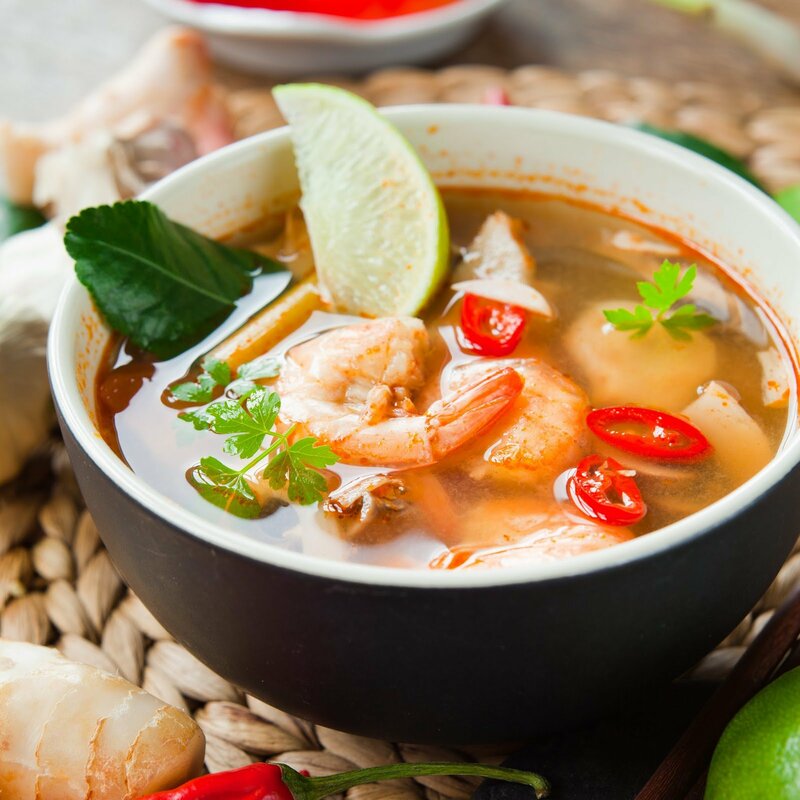 Delicious tom yum soup is very popular both in Thailand and in Thai restaurants everywhere. 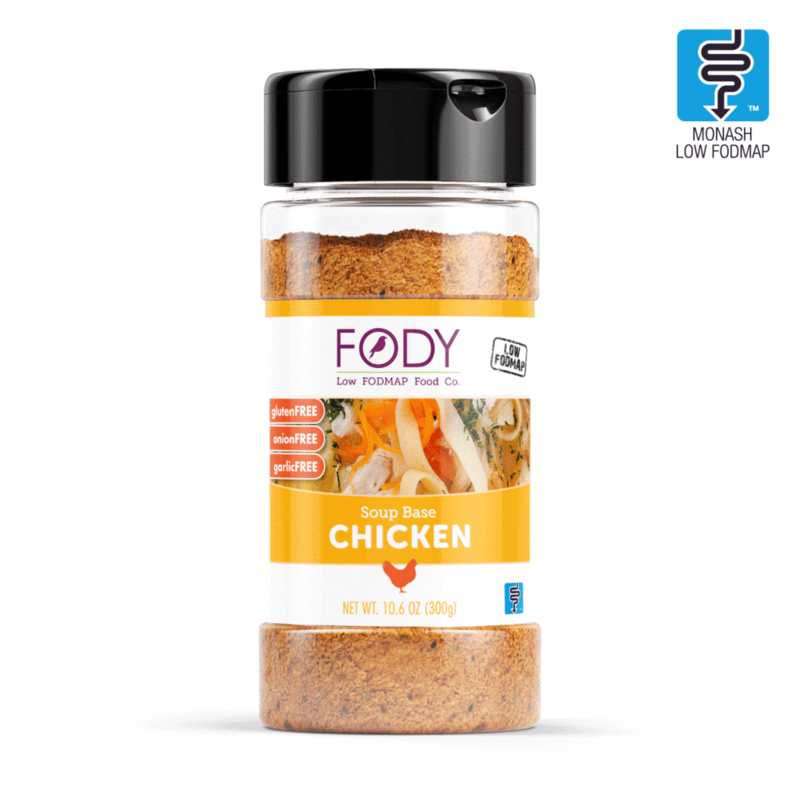 However, traditional home or restaurant made, packet and instant versions can be packed with high FODMAP garlic and onions and often have a lot of salt and additives! This recipe is worth the effort as it omits these problematic ingredients. However, it maintains the vibrant traditional flavour with all its wonderful, aromatic characteristics of this much loved soup. Place galangal, lemongrass, crushed chilli, tomato paste, coriander stalks and roots and the kaffir lime leaves in a pot. Add the water or stock and bring to the boil. Reduce the heat and simmer (uncovered) for 20 minutes. Strain the soup through a fine sieve, discard the solids and return liquid to the pot. Reheat until it is simmering then add the sugar, fish sauce and lime juice to taste. Some of the ingredients can be expensive in regular supermarkets. However, they are readily available and usually much cheaper in South East Asian grocery shops. Excess ingredients such as galangal, lemongrass and kaffir lime leaves can be frozen and used when required.